Esri has been named one of America’s best midsize employers. Redlands, California—Esri, the global leader in spatial analytics, today announced its inclusion in Forbes magazine's 2017 America's Best Midsize Employers list. For the second consecutive year, Esri has been honored among the top U.S. companies, which were rated by employees in an independent, anonymous survey. Work-life balance, outstanding benefits, an on-site fitness facility, and collaboration with colleagues around the world are just some of the things employees like about working at Esri. With an innovative staff of 3,800 people worldwide, the company anticipates hiring 400 more this year. Esri employees are involved with the development of an advanced location technology based on real-time data analysis that helps its users build the maps that run the world. 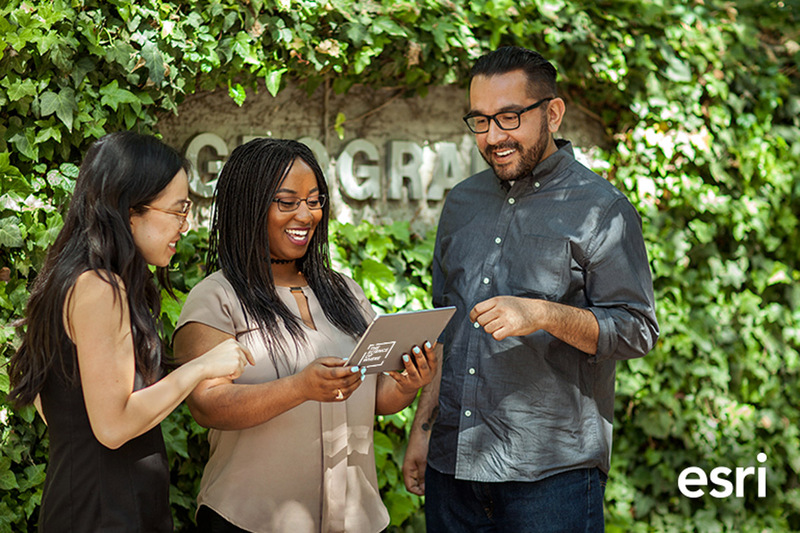 "The combination of Esri's purpose to improve the world with its products and a supportive, collaborative workplace is one of the keys to employee happiness at Esri," said Jack Dangermond, Esri founder and president. "There is a satisfaction in having a workplace that values its employees and gives them not only the benefits they deserve but also the opportunity to make a difference by providing users with constantly developing technologies. Esri helps spur innovation in fields ranging from infrastructure management to nature conservation, and our employees are behind the location strategies that are making cities run more efficiently and saving the environment, in many cases." Esri is recognized by Forbes for being both a great place to work and a strong business partner. Visit esri.com/careers to see open positions.